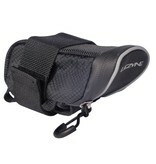 Compact, aero-shaped saddle bag. Large elastic nylon strap secures caddy to the seat rails. 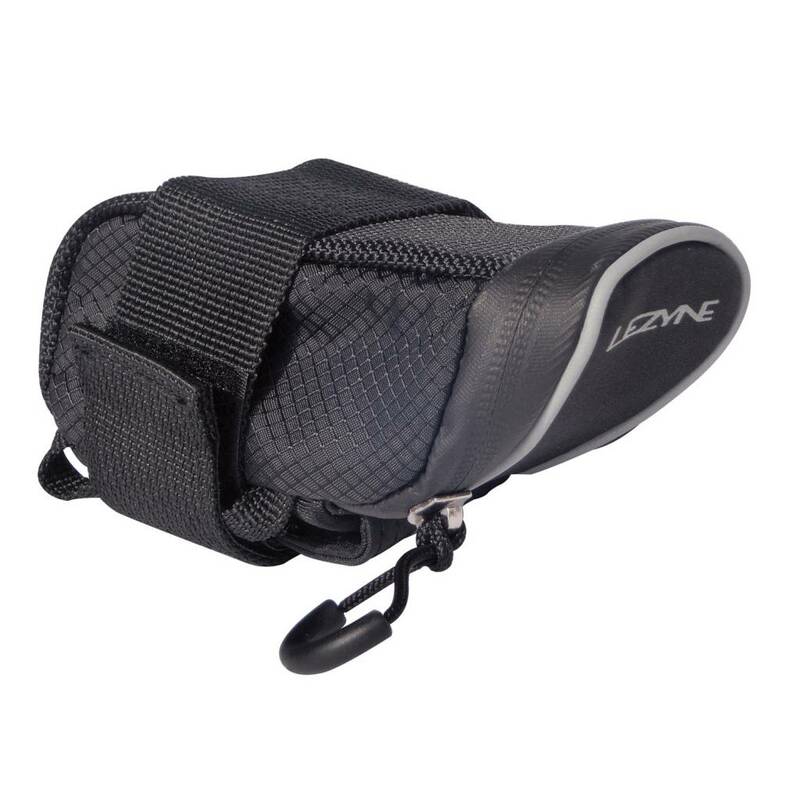 Durable woven nylon construction. Labeled internal organizational pockets. External, quick access multi-tool sleeve. Water resistant zipper with large pull loop. Available in Small and Medium sizes. Color options of high contrast red/black or black only.